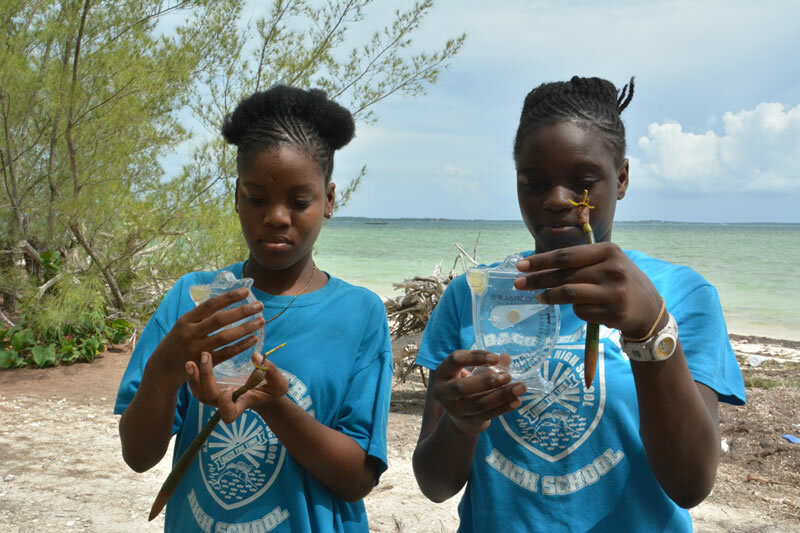 The Khaled bin Sultan Living Oceans Foundation is working with local partners Friends of the Environment (FRIENDS) to bring mangrove education and restoration curricula to high school students in The Bahamas thru the Bahamas Awareness of Mangroves (B.A.M.). 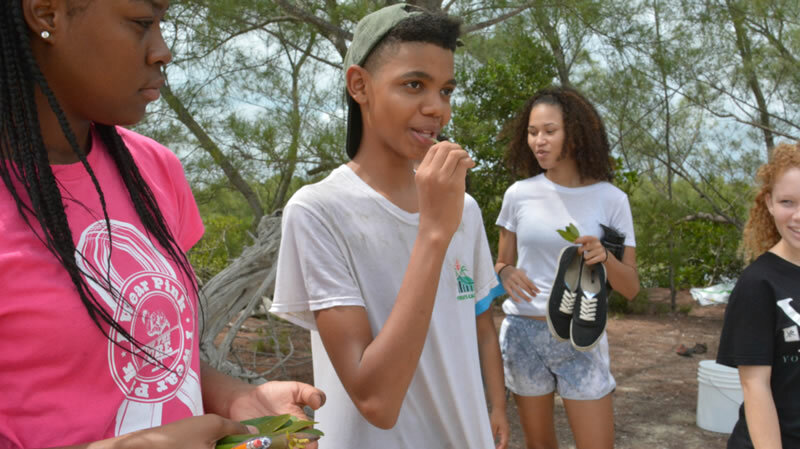 Mangroves are a critical component of the shallow water marine ecosystem in the Caribbean, providing nursery habitat for coral reef fishes, a home for threatened and endangered species, and a natural filter for nutrients and pollutants running downstream and out to sea. They also act as a buffer, protecting people from the impact of storms and associated erosion. 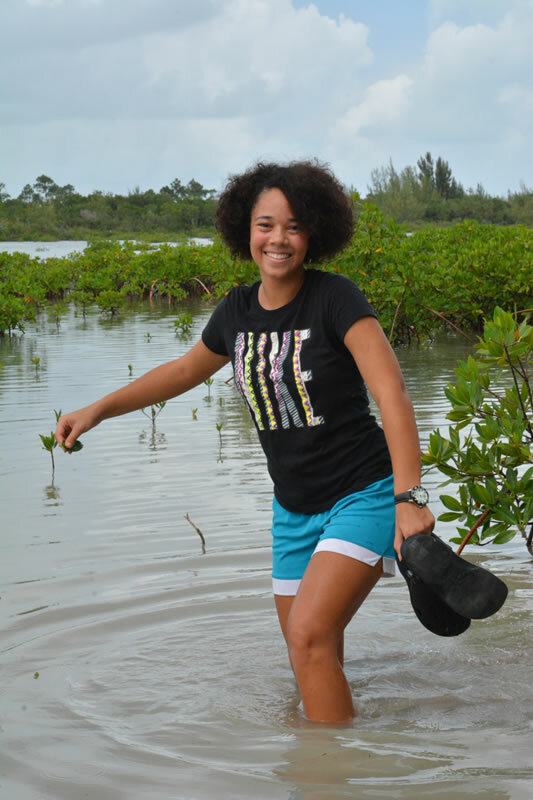 In The Bahamas, mangrove forests are threatened by natural and anthropogenic forces. 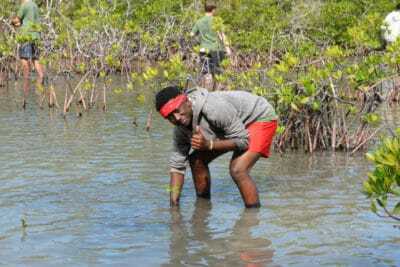 Tropical storms, hurricanes, deforestation, pollution, runoff, marine debris, silt blocking the entrances to creeks preventing tidal flow to the mangroves, and the harvest of mangroves for charcoal production all pose serious threats to the long-term viability of mangrove forests on the islands. 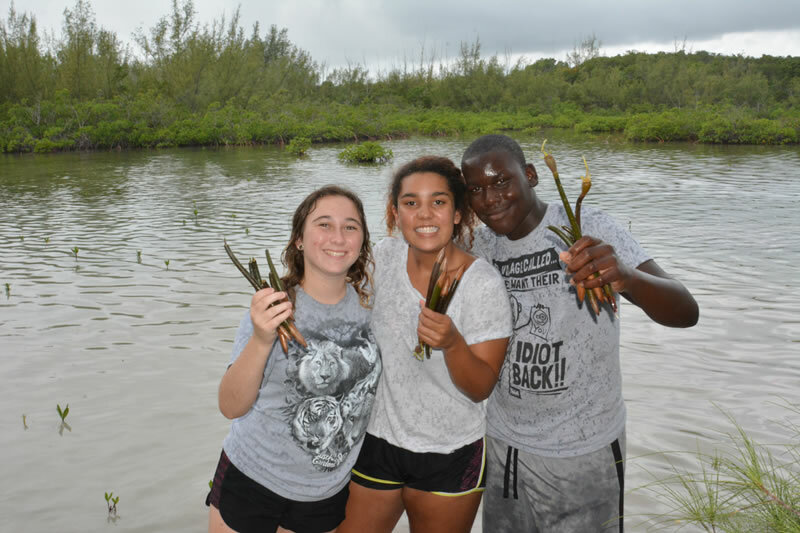 Mangrove wetlands in The Bahamas are particularly vulnerable because they are not protected by law. 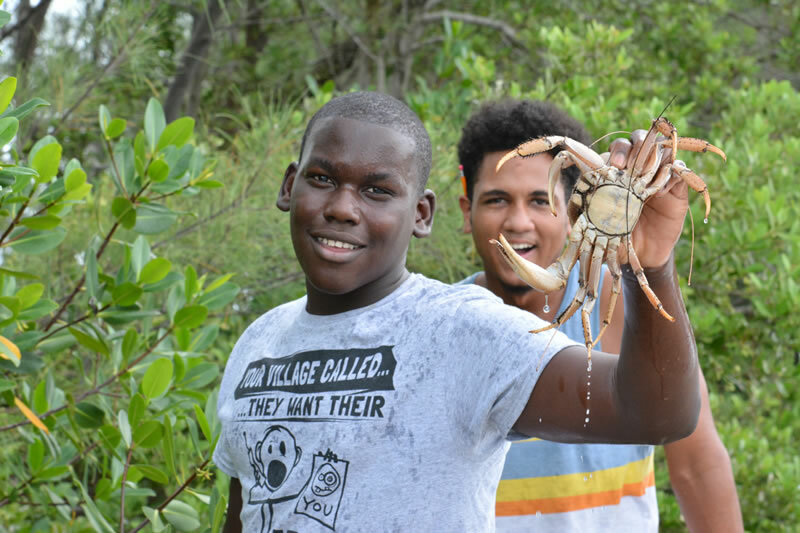 An estimated 19% of the mangrove forests in The Bahamas have been lost in just the past 15 years (FAO 2005). 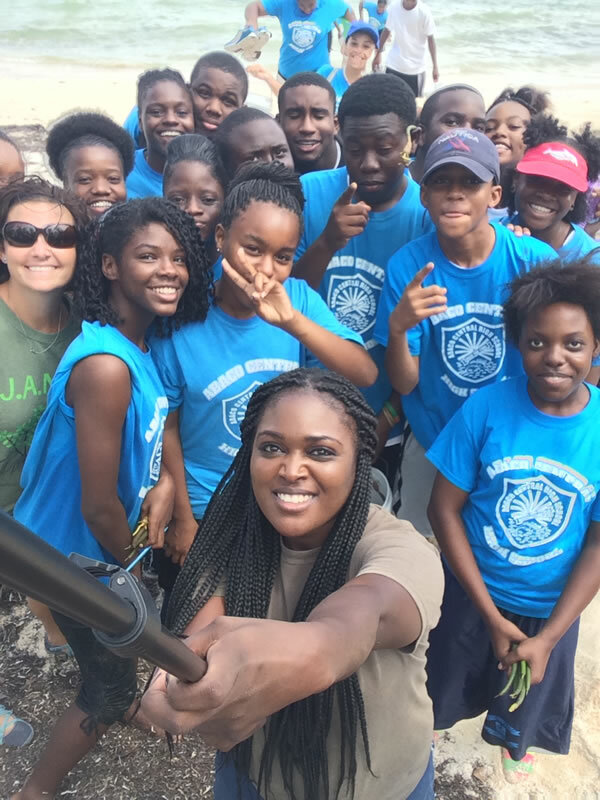 High school students in The Bahamas will learn about mangroves, their importance to the coastal marine ecosystem in the region, and their value to Bahamian society. 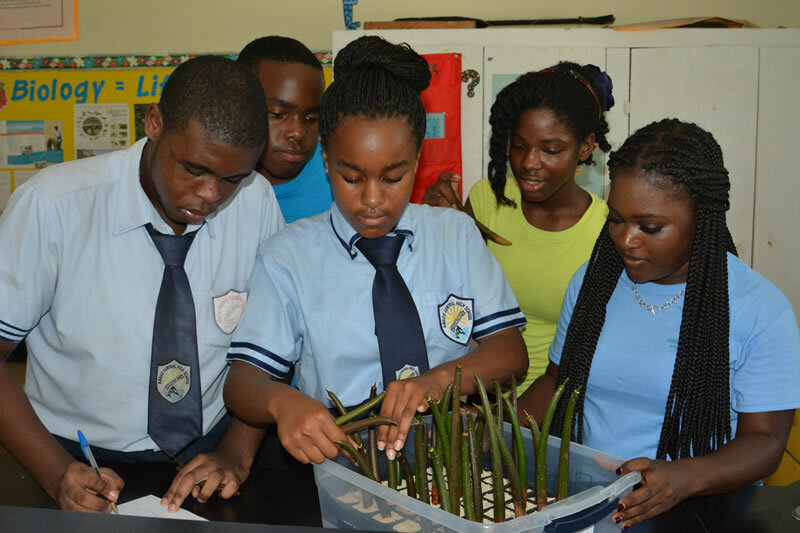 Teachers will be provided with free lesson plans, professional development opportunities, and field trips for participating science classrooms. 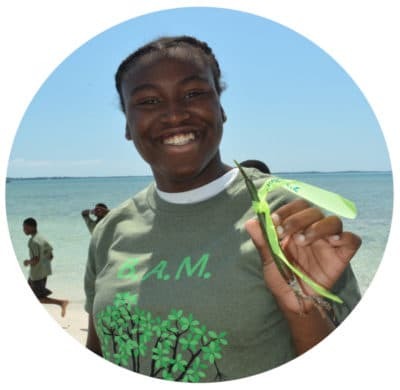 Based on the success of our Mangrove Education and Restoration Program in Jamaica (J.A.M.I.N. 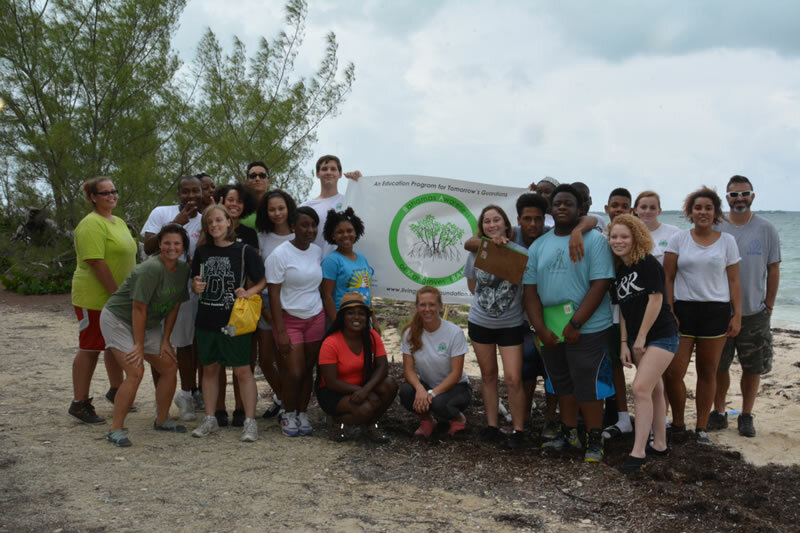 ), we have expanded the program into the Bahamas. In 2015, B.A.M. 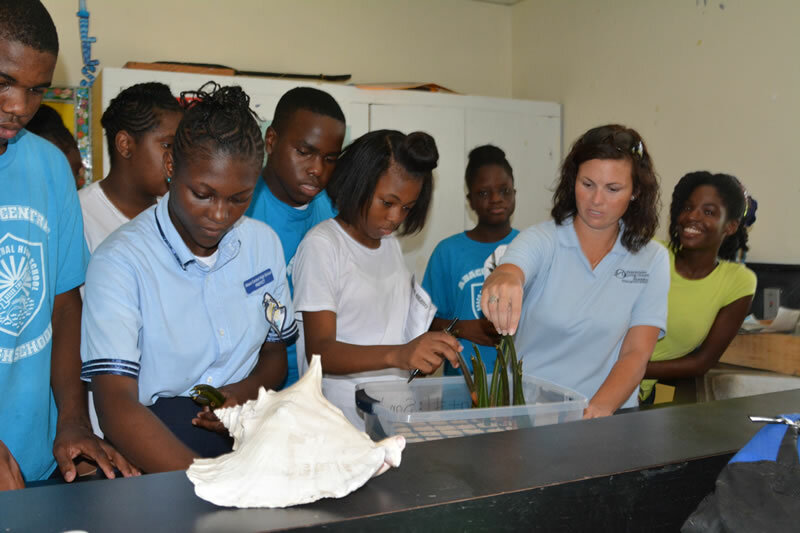 programs were established at Abaco Central High School and Forest Heights Academy on Abaco Island in the northern Bahamas. 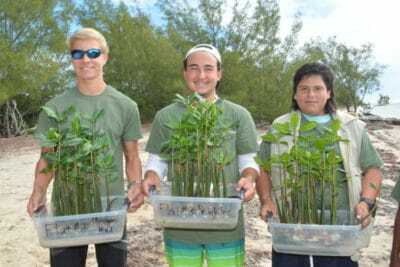 One year later, we piloted a 2nd year program, which focused on monitoring and managing mangroves, again through project-based learning. 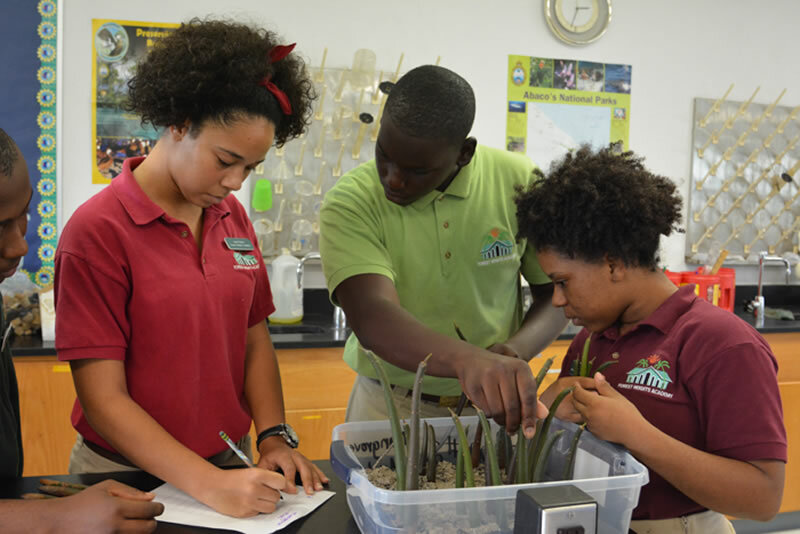 Students build upon the knowledge they learned in the previous year to understand how to manage this important ecosystem.